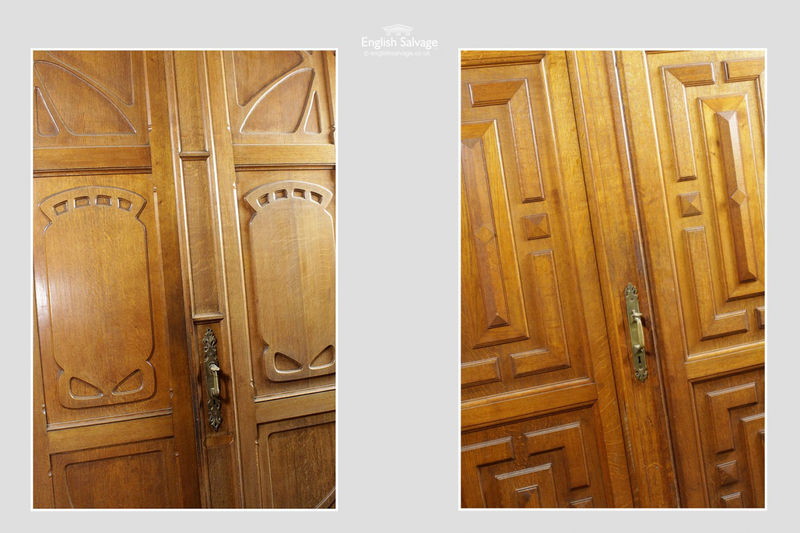 Impressive antique French oak double door with architraves and decorative old brass door furniture. 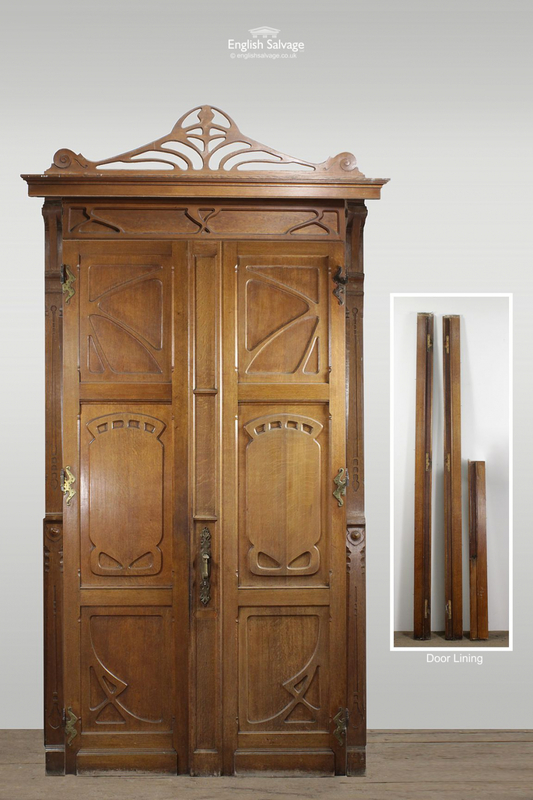 One side is in the art nouveau style, with unusual hand carved raised panels and an arched header, the other is neo renaissance which matches the dado height oak room panelling and overmantel, shown here. This double door with architraves is available as a job lot with the oak room panelling and overmantel, shown here, all for sale at £11,000. We have a marble fire surround reclaimed from the same room, available separately here. 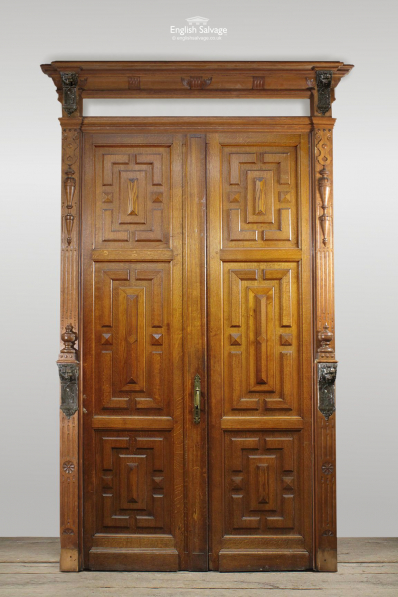 The size of the double doors is stated below, the neo renaissance architrave header is 197.5cm wide x 19.5cm deep, the width of the frame is 177.5cm and overall height is 320cm. 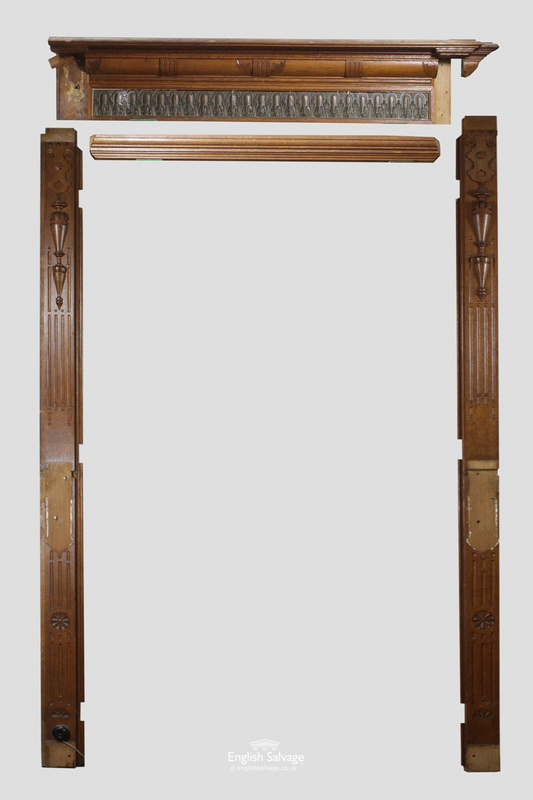 The art nouveau architrave and doors overall is 359.7cm high and the width of the frame is 170.9cm. 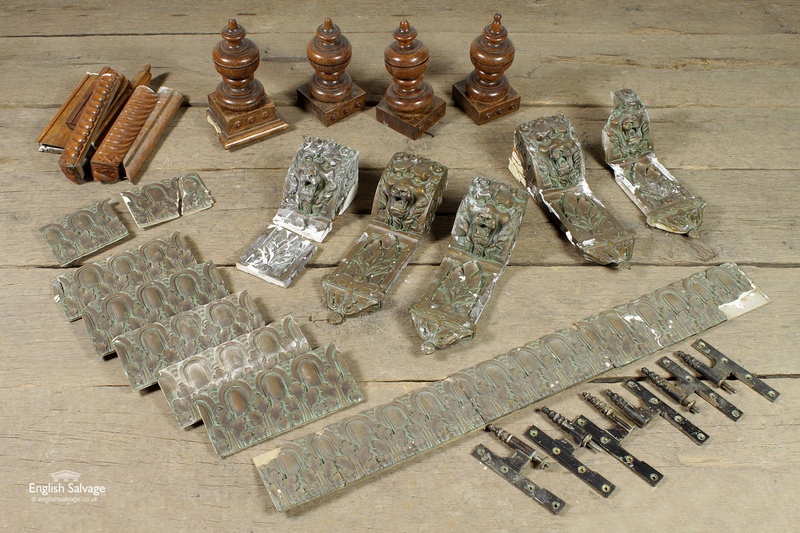 The third photo shows a frame with copper effect plaster moulding/frieze to the top. Overall this measures 323cm high x 138.7cm wide x 20cm deep maximum. The pillars each measure 16.2cm wide (old electrical box present - all electrical work must be undertaken by a qualified person).